Despite Hong Kong boasting many whisky bars, hugely popular whisk(e)y auctions and a growing love of the spirit, Steph and I were surprised to find a lack of whisk(e)y societies or clubs on our arrival. Having been used to regular tastings at the likes of Shirt Bar's Scotch Club in Sydney, Oak Barrel and of course the many and wonderful SMWS events, we were suddenly left without any regular tasting nights. Sure there was the occasional tasting (such as those run by the excellent Angels' Share in Central), but no regular club or society. As we started to attend various launches and events, we started to meet more people in the industry, and soon found ourselves introduced to Eddie Nara, who, it turns out, had just very recently started up a Hong Kong Whisk(e)y Society - the Malt & Grain Whisk(e)y Society Hong Kong! Described as "a non-profit organisation dedicated to promoting and sharing knowledge and enjoyment of all kinds of whiskies/whiskeys from all around the world", MAGWSHK aims to explore not only the world of Scottish and Japanese malt whiskies, but whiskies from all over the world, including Grain whiskies as the name suggests. We had a chat to co-founder Eddie Nara recently to understand a bit more about the club and some of its upcoming plans. Hi Eddie, thanks for your time. Can you give us a bit more insight into your own background / history in the spirits/whisky industry? Currently working full-time in the oil industry… jet fuel to be specific. Started to do WSET level 2 in 2009, now still working on my WSET level 4 (i.e. Diploma). I’m a Certified Specialist of Wine (CSW) and Certified Specialist of Spirits (CSS), awarded by the Society of Wine Educators, based in the USA. I’m also a Certified Whisky Ambassador, awarded by The Whisky Ambassador, based in Glasgow, Scotland. I founded Barrel Concepts in 2011, a business that specialises in whisk(e)y events, education and consultancy services. I co-founded the Malt & Grain Whisk(e)y Society HK in 2014, the first registered whisk(e)y appreciation club in Hong Kong, where I am currently the Chairman. Quite involved in the industry then! Why did you start the MAGWSHK? What do you plan to do with the society? What sort of events can members expect? Tasting events; master classes; whisk(e)y dinners and whisk(e)y/food pairing workshops. My priority is to invite the brand ambassadors to conduct the tastings/workshops, but then I may also invite the regional/local brand managers or experts. 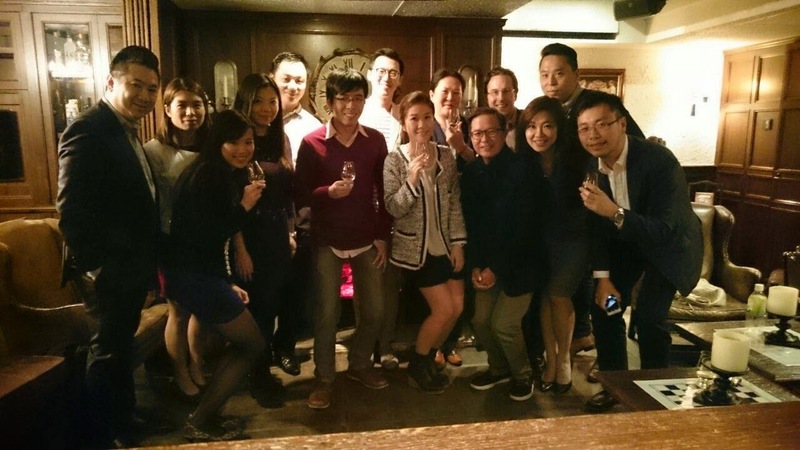 How you think the “typical" Hong Kong whisky drinker is changing? HK drinkers (Asian palates) tend to favor the sherry cask whisk(e)ys, this is probably one of the reasons why The Macallans and certain Japanese ones (Karuizawas, Hanyus) are so popular in Asia. As an experiment, I let a few of my friends blind taste the Tullamore Dew Phoenix, which is a typical Irish blended whiskey, but finished in Oloroso sherry casks (at 55% abv), almost everyone tried it liked it, and never thought it was an Irish! The trend… no doubt they would still choose single malts over blends, and a lot of people are going after the vintages, single cask/cask strength versions. I also see people are open to try the smaller or not so well-known distilleries. What events are upcoming (that you can share)? We just had a Whisky x Oyster pairing workshop (on 13 Nov), and a MBD tasting event with Gordon Dundas on 26 Nov (with a few limited editions from Auchentoshan, Glen Garioch, and the Bowmore Devil’s Cask release 2). We're all for any clubs which aim to increase the understanding and appreciate of whisk(e)y, and MAGWSHK aims to do just that, without any pretentiousness. We may well see you at a future event!